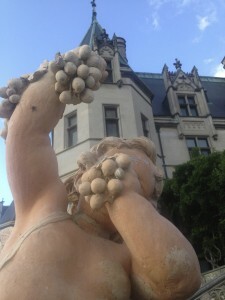 You must visit the Biltmore Estate when you stay at Cloud 9! 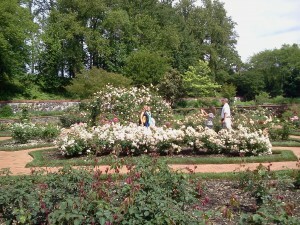 Is it worth going to the Biltmore Estate? Yes! 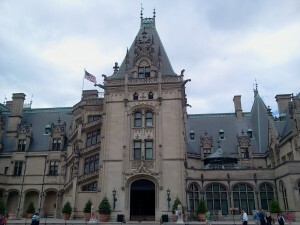 you need to go to the Biltmore Estate if you’ve never been. And we are very close and can get discount tickets for you! 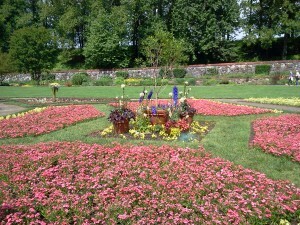 How close are you to the Biltmore Estate? We are 10.77 miles. It will take you about 15 minutes to get there. Do you sell tickets to the Biltmore Estate? Yes! 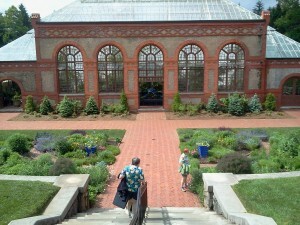 Cloud 9 is a partner with the Biltmore Estate. We can get discount tickets for you. They also run “specials” online with enough advance notice. Let us know if you need tickets when you book. What’s the best time of the day to go? Get out of bed and get there before 10am. That will give you a couple hours to see the house before the crowds, then take in a lunch at the Bistro or the Stables before you go to the gardens in the afternoon. You will have to know what day you want to go. It is best to go through the week as on some Saturdays you even have to plan an entry time! Yes! If you like history or art, or both, plan on a 3 hour minimum just to see the house… and DO get the recorded tour with headset for an extra $10, otherwise you won’t know all the history you are seeing. The recorded tour tells you briefly about each room then has more details for those not in a hurry. When can we get the best rates? Rates vary during the year from $39-$79 so be prepared and remember it is the largest privately owned home in America. The best rates are in January February and March when you can get a ticket on line yourself for the lowest prices of the season without having to go through Cloud 9. Also, if you are a member of AAA or get a military discount, take it, but ask us first for the best price. We may be able to beat it. 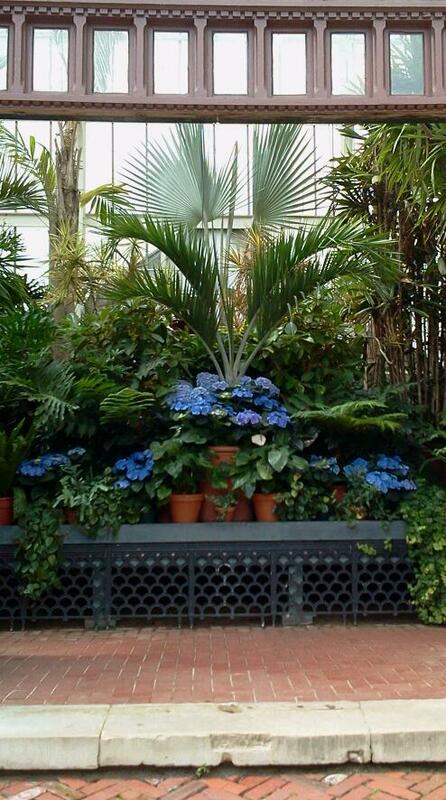 The Festival of Flowers in April and May will astound you. Tulips, then azaleas, roses then fields of sunflowers through the summer. And when the grape harvest comes along in July, you can volunteer to be a grape picker (even getting a t-shirt to prove it). 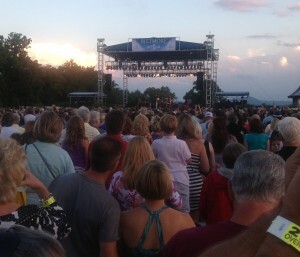 Concerts through the summer bring in some big names like Sheryl Crow, Casting Crowns, The Four Tops and Temptations, and The Beach Boys. Christmas Candlelight Tours start in November Fantastic eye delight! Go to Asheville and look up at Battery Park Hotel (the hill and original hotel are gone) to the railing of the 7th floor balcony where you can imagine the height George W. Vanderbilt II stood with his mother in 1888 and looked out to see Mt. Pisgah in the distance and vowed to purchase this God-given land with his inherited millions. 125,000 acres to be exact, or 228 square miles that would take a week just to ride your horse around the property to check on things. He was a bachelor when he started building his 250 room mansion modeled after a French Chateau and you will be in awe of the attention to detail, the collections of antiques and artwork, the French one-of-a-kind wallpaper, the indoor pool and, wow… just go! 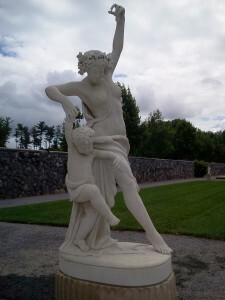 What does Cloud 9 Farm have in common with George Vanderbilt? He wanted his estate to be a self-sustaining place; growing his own food, providing his own entertainment. That’s what we do here. He had an interest in horticulture and forestry like we do. So much to learn there… just go!